A topic for December 9, 2015: How would you envision yourself in 5 years from now? Then in 10 years? I have to admit that I asked rather blunt questions, perhaps even personal or sensitive. Thank goodness, Steve seemed to be well prepared to make his answers. Here they are. Steve will be 49 in 5years time; he strongly feels that he will carry on teaching English. He admitted that, if at all possible, he would like to do something different as he sees the limitation of continuing as an English teacher. So, what does he really hope to do? Steve has a dream of “impacting on people’s lives”, for example, in the third world through working with an international organization or a NGO. However, there seems to be a drawback according to Steve. He sees that he needs to study for some time and in depth but that seriously affects his family financially. This goes for any new career, be it a legal profession (he was once a lawyer in Australia) or whatever work that requires expertise. Then, Steve endeavored to envisage himself in 10 years time when he becomes 54 years of age. He thinks that he will find it even more difficult to continue as an English teacher: people say that students tend to prefer a younger teacher. So, he might think of starting his own English teaching school, perhaps focusing more on a particular need. I made a remark of making a game since it is his life-long hobby. May I suggest one? : a role playing game based on someone like William Adams (1564-1620), who was a navigator aboard a Dutch ship that drifted to Japan where he lived the rest of his life as a foreign policy advisor (a Samurai) to the Tokugawa Shogunate. Why not? To what extent are you concerned about and how are you bracing for the next mega-earthquake that people say will occure at any moment here in Japan? Specifically, do you participate in any disaster prevention drills that are held every year in your neighborhood? How well are you prepared for the coming disaster in terms of water and food stocks as well as prevention for furniture falling down? Where Steve and I live in northern Yokohama it is not susceptible to water related disasters such as tsunamis or floods. So, damage and fire caused by an earthquake are a more likely scenario. To this, Steve said surprisingly that he is not at all worried about any future disasters. How come? For one thing, Steve mentioned that his condo is designed and built to withstand severe earthquakes. Secondly, his military background will provide him with whatever ways and means to protect himself and his family in case of an emergency. So, Steve hasn’t participated in any of the disaster prevention drills yet. In case of a tsunami, Steve would immediately evacuate to a higher place if he happened to be on or near the shore. Regarding water and food stocks, he said that he keeps refills for a water dispenser. Then, we moved on to disasters in Australia. Australia is not prone to disasters caused by typhoons/hurricanes, earthquakes or volcanic eruptions. There are no disasters at all? Not exactly, rampant bush fires occur from time to time in Australia, as are times of flood or drought. Northern Australia is also subject to cyclones during the tropical cyclone season from November to April. 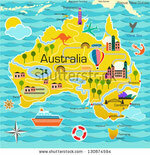 Why is that there are more cities on the south and east coasts of Australia? Why is that there are more cities on the south and east coasts of Australia rather than on the west coast, the latter of which seems to be much closer (in terms of sailing days) to Britain, Australia’s former colonial ruler? Was it because of an unpleasant environment for people to settle in earlier on? Admittedly, the subject of the talk this time was just for my curiosity. Steve appropriately explained the importance of the Great Dividing Range that runs about 3,500 km north to south along Australia’s east coast. It is said that the prevailing easterly winds from the Pacific Ocean hit The Range, causing much precipitation along the eastern coast of Australia, thus making a clear contrast to the dry climate in the central and western parts, including many vast deserts. So, the east coast is by far more fertile than the west coast; many cities and towns lie along the east coast, including Brisbane, Sydney and Melbourne. 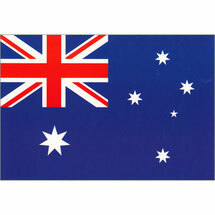 It is interesting to note that the first European to land in Australia was a Dutch explorer named Willem Janz in 1606. Janz happened to land in the tropical northern part of Australia and soon found that it was not suitable for settlement, and therefore he abandoned it. 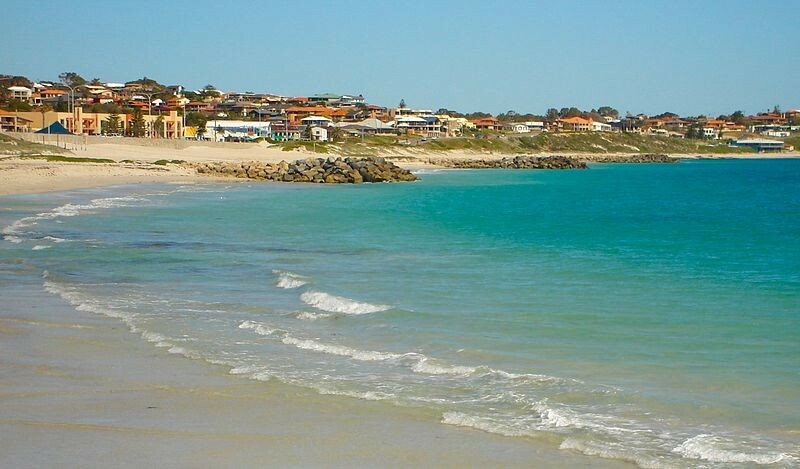 The first settlement on the west coast took place only in the 19th Century in what is now Perth, surprisingly enough not through the discovery of gold as such but as an immediate response against a rumor of possible French settlement. As is well known, James Cook was the first European to discover the east coast of Australia in 1770; and an initial settlement subsequently grew at Sydney. So, it is inevitable that early settlers preferred places that are environmentally friendlier on the east coast than the west coast of Australia. 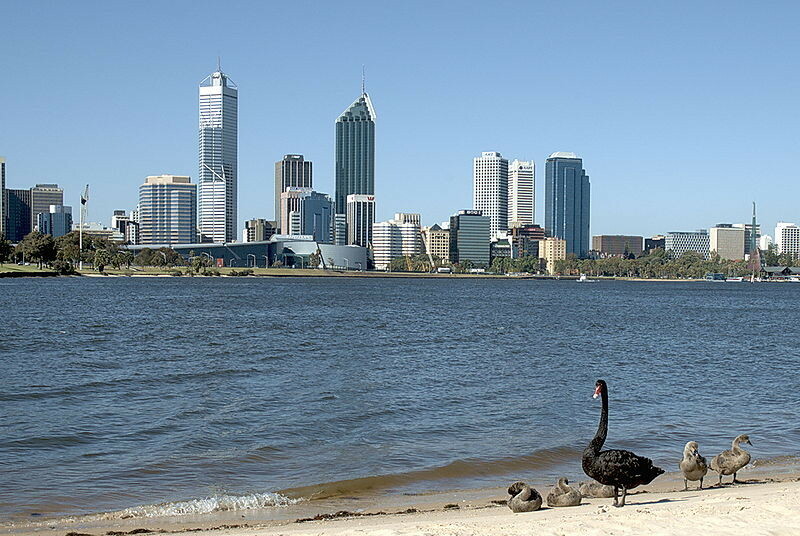 A little bit more about Perth, which is the fourth largest (with a population of about 1.8 million) and the only major city on the west coast of Australia. The climate of Perth is predominantly Mediterranean, rendering a hot and dry summer. 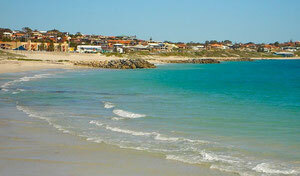 Perth has beautiful beaches and a well-planned business district and residential area. Did you know that American astronaut, John Glenn, named the city “City of Light” from outer space? A topic for August 12, 2015: Historical background of Canberra as the capital of Australia. I find some sort of similarity between Australia and the U.S. in that they both have Federal capitals, constructed from scratch, which had competed with surrounding states that were powerful and rather autonomous. What would you like to say to this? I make it a rule to give Steve a topic of our discussion beforehand, but this time I failed to do so simply because I was too busy. So, Steve was taken aback by this topic, which seemed to call for preparation to some extent. Well, before going any further, I should explain briefly what I meant by similarity between Australia and the U.S. Under the British Crown’s policy, Australia and America both managed to maintain relatively autonomous regional governance. But, Britain took mercantilism measures to protect their industrial and agricultural interests in Britain to the detriment of both colonies. After their independence, how did the two countries select upon their new capitals? In both cases, big and flourishing cities at that time did not become capitals. Why so? In America, Washington was selected, to be built from scratch, eschewing a close relationship or “dominance” by any particular city/state. In Australia, Canberra was selected, also to be constructed from scratch, but this time, as a result of a compromise between Sydney and Melbourne, the two largest cities, who competed to become the federal capital. Aside from population, size and that Washington D.C. has a longer history (became a capital in 1800) than Canberra (became a capital in 1927), the two cities have many resemblances. A topic for July 8, 2015: Inspirational quotations. Today, we would like to talk about “inspirational” quotations made by high profile persons, in the past and now. Could you list five such quotations that you are particularly fond of? Steve first of all mentioned that he found it difficult to pick inspirational quotations; so we agreed to rephrase it as “interesting” quotations. To this, Steve managed to explain six (more than five) such quotations, some of which are, inevitably, from Ancient Greece and Rome. Veni,vidi,vici, by Julius Caesar, translated as “I came, I saw, I conquered.” After defeating Pharnaces II of Pontus at the Battle of Zela, Caesar was said to have used this concise yet powerful sentence in a letter sent to the Roman Senate. Alea iacta est by Julius Caesar once more, meaning “The die is cast.” This famous quotation was made when Caesar with his troops crossed the Rubicon River in northern Italy so that he could effectively confront the Senate in Rome. At that time, no generals were allowed to bring his troops beyond the river. “The secret of a bore is to tell everything.” Voltaire was a French writer, historian and philosopher who lived in the 18th Century, loved by many for his satirical remarks. With great power come great responsibility, by Benjamin Parker or more commonly known as “Uncle Ben”, a fictional character in the Spider-Man stories. Lastly, Steve mentioned “tempus fugit”, meaning “time flies”. I certainly feel tempus fugit. A topic for June 9, 2015: Which books have inspired you most? Today, we would like to talk about your preferences for books. 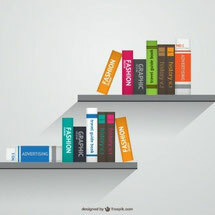 To start with, are you, generally speaking, a non-fiction reader or one for fiction/classic books? Well… was Steve’s initial comment for both. For fiction, he is interested in fantasy, like the Lord of Rings or the Hobbit. He went one step further by saying that he is more or less fond of “fantasy or adventure pulp fiction”, because they are closely related to role playing games, his life-long hobby. For non-fiction books, Steve mentioned that anything that catches his interest, be it politics, history or …..whatever. I would like to ask you about the classics: what kind of classics (and specific books) has been recommended by your parents and school? 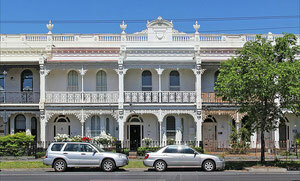 At high school in Australia, Steve took classical studies which covered ancient Greece. So, he read the Odyssey and works by Aristotle, Socrates, and Plato among many others. At university, he studied the philosophies of the ancient Greek and Roman periods further, as well as Renaissance and modern European history. And off course, some works by Shakespeare. Lastly, would you list the three books that inspired you most, and explain why? Surprisingly, “No books have inspired me,” was Steve’s immediate comment. So, we agreed to rephrase this question as “What books have you enjoyed the most?” His first pick was The Prince by Machiavelli, which is about how to be a strong ruler. Then, Steve mentioned books about Hannibal, a Punic Carthaginian military commander, who happened to be “the most formidable enemy of ancient Rome”. A topic for April 8, 2015: your favorite movies. Today, we would like to talk about movies. To start with, please list the best three and explain to us why. Steve seemed to find it difficult to come up with the best three movies right away. Well, he managed to pick one of the three, which was “Indiana Jones” franchise. I asked him which one in particular; “Indiana Jones and the Raiders of the Lost Ark” (1981) was his pick. Steve went on to explain the draw of the movie; it was the collaboration of Spielberg and Lucas to come up with an exciting B grade adventure: with Harrison Ford, a perfect fit for the role, good music, and humorous parts well inserted. Interestingly enough, Steve mentioned that he saw the movie (…the Raiders of the Lost Ark) six times (one time with his dad, others with his brother, with his friends and so on). Steve’s next selection was, from a completely different genre, the legendary court room drama, “12 Angry Men (1957)”, with Henry Fonda in a leading role. The story goes like this; a jury of 12 people deliberating on a murder case in which a young defendant seems guilty, is thought to be a simple case, but one jurer raises doubts about making a haste decision. This leads to the reevaluation of the case from different angles, with the subsequent final decision turning out to be……. His third nomination happened to be a historical piece, “A man for all seasons (1966)”, depicting Thomas Moore, the Chancellor of England, who had kept his principles by opposing his master, Henry VIII, who wanted to divorce his wife against religious constraint. Thomas More was executed as a result. So, Steve selected his best three movies as explained. Did you know that America alone is producing 600-700 movies a year? India, more than 1,200 movies annually. Isn’t it a great pity that we have little access to good movies (produced in different languages) that are only shown to a limited number of audiences (mostly movie critics) outside their home countries? 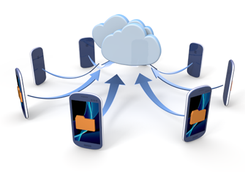 A topic for March 11, 2015: my wish list for technological feats. What kind of technological development are you interested in? How would you prioritize the development? Steve kicked off the talk with this: “I’m not a tech head, but have an eclectic interest in many things.” He went on to explain that he likes to see exciting development, particularly, in the fields of military hardware, medical science, IT; and he is thrilled to hear about fantastic discoveries and great inventions. When it comes to technological development closely related to Steve’s daily life, he said: “I’m most interested in things that I can readily use.” Such as the iPad, iPhone, or even kitchenware. In your daily life, how would you evaluate your goods or gadgets that are most beneficial to you, tehchonologically? Please list and explain the best three. As mentioned, Steve listed the best three gadgets: iPad, iPhone and the computer. Here is how he uses them. First,the iPad, which he utilizes to check the internet, to play games (to kill time), for reading (as a reading device), and to “Skype” his mom in Australia. Also, he can check his e-mails that are sent to his iPhone due to synchoronization. Thirdly, the computer has more power and speed. So, at home he enjoys watching a video streaming service (Hulu) through his computer, which is always connected to a 60 inch TV screen. Lastly, we discussed the next potentially hot gadget. It could be Apple Watch, which is expected to be released in April, 2015. Both Steve and I are not tech heads or Apple geeks by any means, so we will not jump into buying it on Day 1. But being a wearable thing seems to be very promising in terms of map navigation, workout recording amongst other feasible features. So let’s keep our fingers crossed. A topic for February 11, 2015: What sports do you like to play? And in the same token, what sports are you fond of watching? 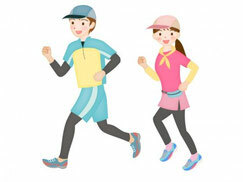 Is there any sport that you would like to play anew? Steve went on to explain that he could not risk twisting his knee again and that limits his choice of sports, requiring specifically backward and forward knee actions, like fencing and kendo. But he seems to dislike both which, according to him, are too strict on rules. So, that’s that. Well, Steve might think again to play sports as his daughter grows up (now going to be one year old) and starts to play various kinds of sports. After leaving the Australian army, Steve went to university where he majored in philosophy, but was not sure what to do after graduation. So, he took a three-month stint of teaching at a primary school, as a stopgap job. Then a new development took place when a friend of Steve’s brother, a lawyer, asked him if he was interested in the legal profession and would like to help. It was because the lawyer had known Steve’s character and personality for some time and was confident in Steve’s capability for the profession. In this way, Steve made his decision for his career. Because the lawyer as mentioned was practicing in the field of “Labor and employment law”, in essence workers’ rights and compensation, so inevitably this was Steve’s specialty. Steve gave us some practical and helpful guidance in this regard, which was based on his former legal experience. The first step you should take when you have encountered something unjust is, obviously, to try and resolve it by yourself. If this does not work, instead of going straight to a lawyer, you could seek legal advice from public organizations which usually give this kind of service free of charge. As a result, you might be advised to apply for arbitration or mediation if available, for instance in a workers’ compensation claim. A topic for December 10, 2014: Your life as a soldier in the Australian army. What prompted you to join the army in the first place? Steve started to explain that he was interested in anything military from an early age: for example, playing war with his friends or with miniature soldiers, watching war movies which depicted acts of bravery by soldiers in combat, playing indoor war games as a result of his elder brother’s influence. This opened his interest in history, especially why and how a particular war took place, which led him further to studying strategy. How would you summarize a soldier’s life in the army? Steve explained that his daily life in the army was, in essence, to maintain combat readiness as an infantry soldier, namely keeping physical fitness, sustaining combat skills, improving marksmanship and so on. In this sense, it was rather a mundane life, according to him. He added that there was a week long routine of running the base (basically once a month), which involved standing sentry, patrolling the base, and operating the shooting range to cleaning the kitchens. This also showed a soldier’s typical life in the army during peace time. What did you learn most from the army? Please list the top three. To this, Steve came up with the following: firstly, “self discipline” (so that you can control yourself), secondly, “perseverance” (so that you can push yourself when others would give up), and thirdly, “duty and responsibility” (so that you will perform your job to its best). so this time I have picked a topic that is welcomed by anyone. Firstly, if you had the time and money, where in Japan would you like to go? To this, Steve mentioned Okinawa straightaway. Why Okinawa? Steve explained, first and foremost, that he likes a tropical place where he can enjoy snorkeling, sun bathing, eating sea food (including “mozuku”, a popular Okinawan sea weed dish), and other resort activities. 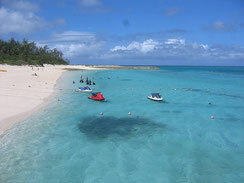 The main island of Okinawa lies some 1,500 km south-west of Tokyo. 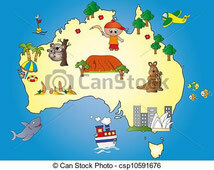 Secondly, if you had the time and money, where in Australia, your home country, would you like to go? Again, Steve’s preference is a tropical place. 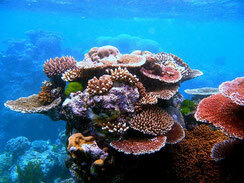 It’s the Great Barrier Reef where he has not been to before. The Great Barrier Reef is the world’s largest coral reef system stretching some 2,600 km off Australia’s north-eastern coasts. Lastly, if you had the time and money, where in the world would you like to go? Steve mentioned that there were several places, number one being the Maldives, where he had visited for his honeymoon and would like to visit again. Then he went on to list the others one after another: Mozambique (for white water rafting), Kenya (for a Safari tour), Venice, Germany (for castles), Russia, Poland, and South-East Asia. Wow! What about me? Well, I would like to go to the Americas where I have not been to; although technically speaking, I did stop over at Anchorage airport in Alaska on several occasions during the 80s, when all intercontinental flights between Japan and European cities over Siberia were not allowed. 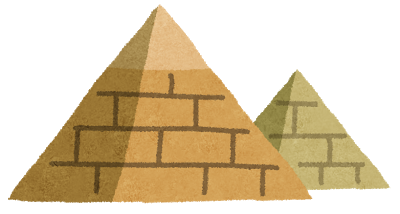 A topic for October 8, 2014: Are we really learning from history? Why did the two world wars, with such misery and devastation, take place in the 20th Century? Didn’t we learn enough from the First World War? Is it because that those wars were completely different and new so that we couldn’t rely on any historical knowledge? Or is it because the leaders of great nations preceded political agenda rather than lessons from history? Looking back, we have talked about Ancient Greece and Rome on two separate occasions which led to the topic of our last discussion, “The lure of studying history.” Now, let’s change tracks and challenge this most interesting topic. Shall we start? First of all, Steve pointed out the concept or definition of world war as “global conflict”. In this context, we have observed global conflicts, many in the past, from ancient times to the Napoleonic wars to World War II for example: an unending series of conflicts. This year marks the centenary of the start of World War I, so let’s look closely into why and how it developed into such a devastating war on the European continent. By and large, the expansion of powerful European nations with their colonies inevitably led to forming alliances as a means of pursuing their imperialistic goals. This worked as a “check and balance” up to a certain point. But a seemingly remote incident between two nations expanded into a global conflict by drawing in alliance members one after another from both sides. 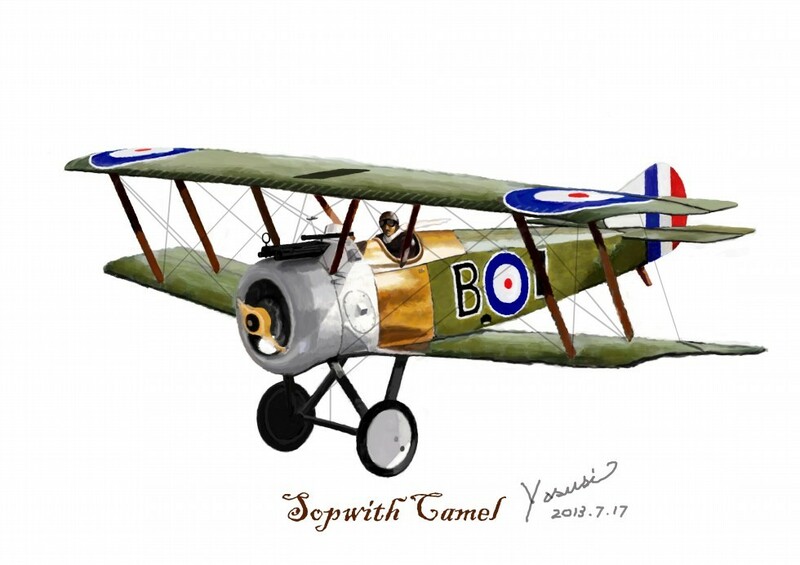 After World War I, people tried hard to keep and sustain peace in many different ways, but it failed and another world war took place just over 20 years later. This time it was far more devastating than the previous one, more towns and cities indiscriminately destroyed, more lethal weapons employed, and thus more civilian causalities. What went wrong after the end of World War I? The League of Nations was set up, for the first time, endeavoring to maintain peace, but proving to be ineffectual due largely to the backing off of the U.S.A., the initiator. And, of course, the harsh conditions of the Versailles Treaty that led to German resentment and the rise of the Third Reich. On top of this, Japan, an emerging power in Asia sought imperialistic expansion, and decided to “ride the bus” with the Axis powers in a desperate attempt to achieve this. So, again we have observed a global conflict between emerging powers and the opposing incumbents. Now, the era of cold war between the west and east that lasted for decades after World War II with the premise of “nuclear deterrent” is over. Is the strategy of a nuclear deterrent still valid? Do we need to worry about another world war? I hope not. But Steve made a scary remark that there is always the possibility that someone might “take it to the end” as his last resort. I do not want to see an apocalyptic world realized, so I hope the lessons from history will give political agenda a back seat to wisdom. What can we do? Advocate for a stronger and more efficient United Nations? Is there anything else? A topic for September 10, 2014: The lure of studying history. Today, we’d like to talk about history. 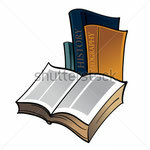 To start with, I would like to ask you this, what is the attraction of studying history? Secondly, what did you learn most from studying history? Lastly, a British historian, E.H. Carr, has mentioned in What is History? that history is “an unending dialogue between the present and the past”; so based on this perspective, historical “facts” are susceptible to changes in interpretation as time goes by. What do you think of this? For the first item, Steve made a very straightforward comment that the attraction of history is that it is simply “enjoyable” and “entertaining” to him. So, he did not even try to explain the “legitimacy of studying history” as that would require a lot of “whys and “hows”. With that, we managed to move on to the next item. “History has the value of both significance and truth”, was Steve’s remark. Let me elaborate on this. The significance of history can be construed to mean that, with the abundance of the past knowledge available, one can “use history to make judgments” of any nature. As to a historical truth, one has to be careful because the past events can be explained from different aspects. It is said that historians tend to focus and augment, from their own perspective, a particular side of a “historical fact”. Steve gave an interesting example of Christopher Columbus, a famous Italian explorer who first discovered America in the late 15th Century. Here are three different views of Columbus. Firstly, Samuel Eliot Morison, an American historian noted for maritime history, focused on Columbus’s seamanship in Christopher Columbus, Mariner, 1955 . Secondly, Peter Marshall (an American Presbyterian minister) and David Mannuel coauthored The Light and Glory, 1980in which Columbus was depicted as a “religious emissary of God”. And thirdly, Howard Zinn, an American historian, in his A People’s History of the United States of America, 1980 depicted Columbus as an oppressor seeking gold, which is now widely accepted. Regarding the third and last item, Steve also seemed to agree with the British historian that history is “an unending dialogue between the present and the past.” Steve mentioned some examples, like how homosexuality was viewed only 50 years ago as compared to now, which led to changes in the interpretation of history. Historians then tended to regard homosexuality as decadent and immoral, reflecting the social climate at that time, and even went as far as blaming it for the fall of the ancient Athenian and Roman societies. And now? Because of the more liberal attitude towards homosexuality, it is viewed, in a completely reverse way, as a strength in the ancient times. And another, more recent, example is the rewriting of Russian history by the Soviet authority that tried to legitimatize the 1917 Bolshevik revolution and blamed everything on the wrong doing of the Tsar. Of course, this has changed a lot since the fall of the Soviet Union. So, we can enjoy studying history and learning a lot from it. But are we really learning from history? Why did the two big wars take place in the 20th Century? Didn’t we learn from World War 1? I think this question will be a good topic for our talk next time. Steve's new life after the birth of his daughter, Sakura. Secondly, I mentioned, “I’m sure that your life has changed a lot since the birth of your daughter. Could you tell us in what way has your life been affected the most? Steve was pleased to talk about the okuizome ceremony, which is usually held around 100 days after a baby’ birth to let him or her ceremonially “eat” dishes; by doing so all the attendees wish for the baby’s healthy growth. The ceremony took place at Steve’s house and at a propitious time, actually a little after 100 days, to coincide with the arrival of Steve’s mom from Australia where she lives. For this occasion, Steve’s mom was happy to cook Hungarian style dishes, such as pork medallions, beef goulash, and cucumber salad. For the Japanese dishes, there was red rice (glutinous rice with red beans, a must for happy ceremonies) and some abalone that was brought by the baby’s Japanese grandfather. Wow, how tasty they all sound! So, Sakura experienced okuizome in such a multi cultural environment. Then, we moved on to the second point. Surprisingly, Steve said that his life hasn’t changed that much, except that he now has more household chores, like walking the dog in the morning and evening, cooking dinner, and all the shopping. Basically, his wife takes care of the baby. So, it seems that both Steve and his wife have managed to split their tasks after the birth of Sakura. Oh! I almost forgot that Steve keeps going out every Sunday for gaming, his lifelong hobby. Well, best wishes for the rookie parents! You can visit a photo gallery for my grandson’s okuizome ceremony for comparison. The comparison of ancient Greece and Rome. "We touched this comparison briefly in our previous talk on May 14, so this time we would like to focus on it. Firstly, in your opinion, what were the defining factors that would explain the Greeks’ tremendous achievement in academic fields? In this perspective, the Romans simply were not fortunate enough to possess these factors?" "Secondly, the Romans excelled in matters related to running their vast empire, such as providing law, building infrastructure, accepting different cultures and so on. Why and how did the Romans, not the Greeks, manage to maintain these features?" Perhaps the above questions seemed to be abrupt and blunt; so Steve’s first reaction was “not sure”. 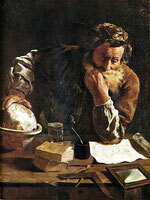 Then Steve went on to make a remark that, as he had mentioned the last time, ancient Persia, the arch enemy of the Greeks, was also outstanding in the fields of philosophy, culture, and technology, which were subsequently copied by the Greeks and the Romans to suit their own needs respectively. In addition to this, Steve cautioned that there was no unified Greece as such, but a number of city states (Poleis), most notably Athens and Sparta. With these remarks in mind, one could say that by creating city states that were governed by their citizens, the Greeks had to seek solutions for everything including national security issues, political matters, religious and social problems. This process of managing themselves, in my opinion, led eventually to the establishment of classical western philosophical thinking: simply put seeking the why, thus leading to academic and scientific advancement. Steve highlighted the fact that the Romans respected and followed the academic achievements of the Greeks. The Romans also started as a city state, but they hastily expanded their territories one after another for various reasons, inevitably creating a vast empire. So, in a way, what the Romans excelled at was “how “to utilize academic learning, for example in the construction of roads and aqua ducts, and the setting up of numerous administrative mechanisms (especially a mailing system) in order to maintain a cosmopolitan empire. So, is it permissible to say that the Greeks and the Romans chose their destiny based upon different circumstances? Perhaps, it was the Romans who inherited from the Persians the essence of running their empire: showing respect for political, economic, social and religious aspects of their conquered peoples. What historical lessons can we draw from ancient Rome? For the sake of this talk, we would like to focus on three areas: firstly, Roman leadership as exemplified by Consuls and emperors; secondly, the Roman military mechanism; and lastly, the multi racial, religious and social aspects of the Roman Empire. First of all, Steve mentioned that we should talk separately about Consulship during the Republican period and an Emperor thereafter. Now a Consul, how was he selected and how powerful was he? A Consul was elected amongst senators for, surprisingly, a short one year tenure (actually two Consuls at a time) to run the country like a present-day prime minister and also to lead the Roman legions in time of war. Rome managed to produce competent leaders (of course, there were quite a few incompetent leaders due largely to the process of churning out so many leaders from senators, representing established families) who expanded its territory and maintained the Pax Romana for nearly two centuries. Then, we talked a bit about the ancient Greek democratic system for comparison. Pros and cons of the Greek system are well stated. It was one of the best political mechanisms of electing its leaders by citizens through direct democracy, as exemplified by the period of Pericles (during the Golden Age in the 5th Century B.C.). On the other hand, this direct democracy was susceptible to “sway” or “finding a scapegoat” as shown by putting Socrates to death: and in many cases resulted in indecision by citizens. Then, with the expansion of the Roman territory, it became increasingly evident that the dual Consuls system for a one year tenure could no longer cope with the complicated business of running the empire: so this eventually ushered in the emperor. Unlike a despotic monarch found elsewhere at that time, the Roman emperor exercised his prerogative power which was bestowed upon him by the senate: “An elected dictator” as Steve put it. Roman emperors were destined to strengthen the Pax Romana, sustain economic prosperity, and to implement and maintain infrastructure (such as roads, water conduit systems etc.) 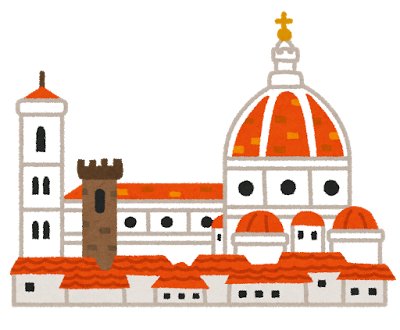 Also, they hosted grand events, like gladiatorial games and chariot racing as important public spectacles. Lessons: Generally speaking, the Roman leaders, be they Consuls or Emperors, were well aware of their “mission” from the beginning of their tenure and carried it out diligently, and they tried to fulfill their accountability to the Senate and citizens. One more thing, they did not evade taking responsibility at the end. 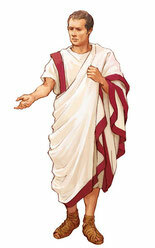 Do I look on ancient Rome too favorably? We moved on to the second item. The outstanding feature of the Roman army, as Steve remarked, was the establishment of professional soldiers as opposed to those drawn from common people when needed during war. Usually, Roman soldiers, on a voluntary basis, would serve the army for 20 years and were entitled to retirement land lots, which were located mostly in remote conquered lands. Being a professional army, not only allowed them to excel in battle formations, strategies and using science like siege weapons, but also allowed them to carriy out masterful civil engineering works such as roads, bridges, fortifications etc. Lessons: A well staffed, fed, and trained standing army was the key to the expansion and maintenance of the Roman Empire. Lastly, we talked about multi racial, religious and social aspects of the Roman Empire. It’s a well established observation that the Romans allowed conquered peoples to continue their lives in relatively independent ways, letting them believe in their own gods, and encouraging them to join the Roman army (as militias). Steve added that Persia’s Cyrus the Great (in the 6th Century B.C.) was outstanding in the way he managed to expand and maintain the vast kingdom of his by treating well the people he conquered. He allowed defeated rulers to stay in power, and respected their customs and religion in return for only paying minimal taxes. So, did the Romans learn from Cyrus? Well, I should leave it at that, because the question will best be handled by experts. Lessons: The experience of the Roman Empire reiterates the importance of human rights which will bring about a better place on this planet to live in. 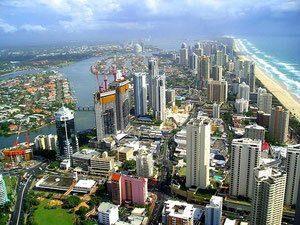 Big cities in Australia, what are their attractions? “Today, I would like you to talk about Australia, the country you are from. I remember you once explained to me about Adelaide, your hometown. So, this time, could you talk about the other big cities and what their attractions are. I hope we have enough time to cover Melbourne, Sydney, Brisbane and lastly Perth”. 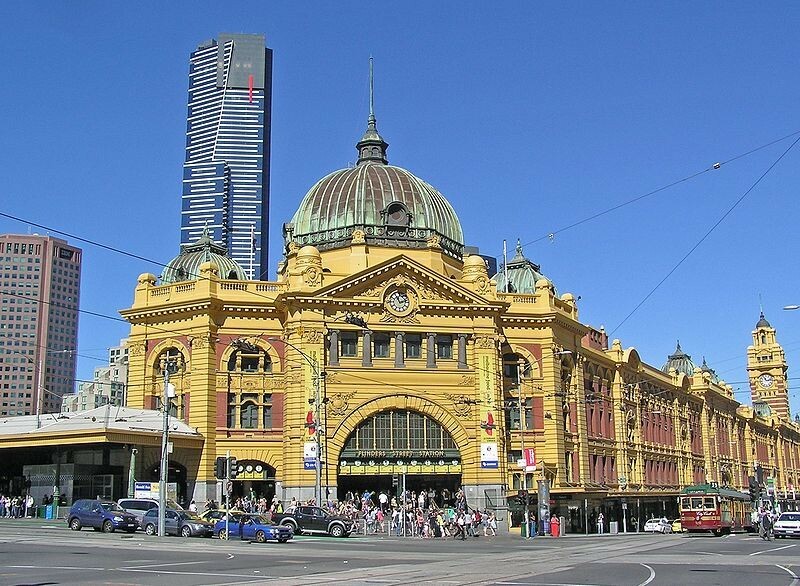 So, Steve first embarked on a guide to Melbourne, the second largest city after Sydney with a population of 3.8 million, which is located in Victoria, one of six states, and is one of the oldest cities in Australia. The city is noted for its cool climate, and being very comfortable throughout the year. 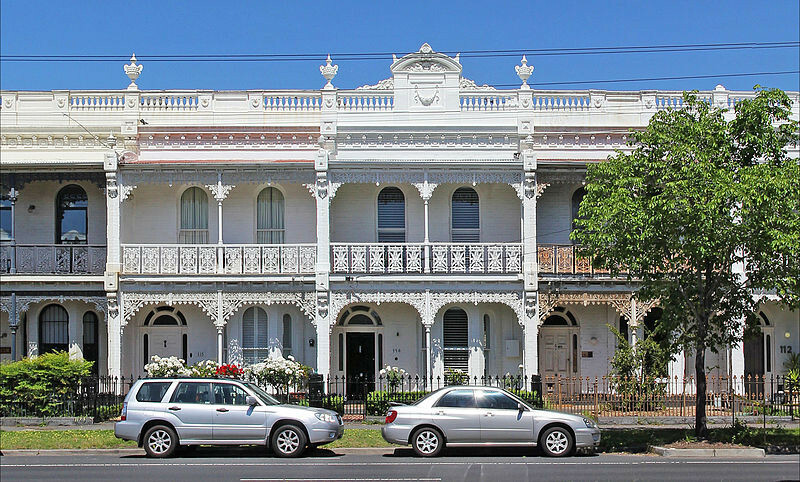 Like Sydney, Melbourne shows signs of ever “expanding” and “erratic” urbanization. This makes a distinctive comparison with Adelaide, where it has well planned business districts and residential areas along with grid roads and streets. 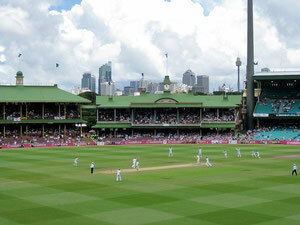 In Melbourne, folks love to watch rugby as well as Aussie rules football in winter and cricket in summer. The city abounds with traditional architecture and old cobbled streets. It is also a good place for eating out having a wide variety of restaurants. 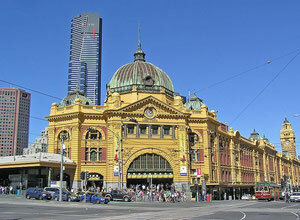 Even people in Adelaide prefer to go to Melbourne for weekends despite the fact that it takes more than 8 hours by car! 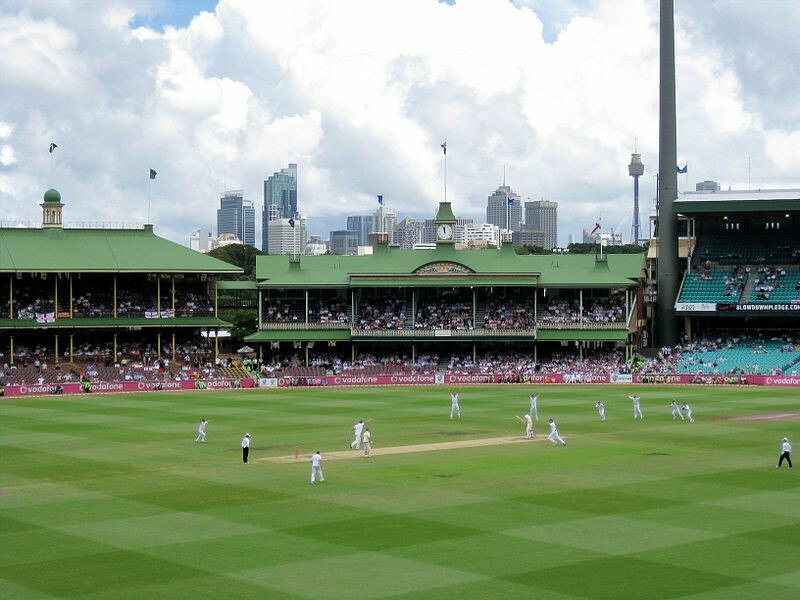 Now Sydney, the largest city in Australia with a population of 4.6 million (as of 2011), is the most cosmopolitan city and famous for the iconic Sydney Harbor Bridge and the Sydney Opera House. 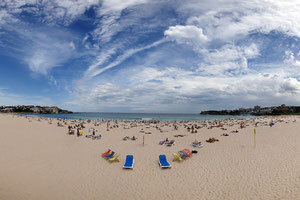 Other places of interest include Bondi beach, Taronga zoo, Hyde Park and the Royal Botanic Garden to name but a few. I’d like to add that Sydney was the host for the Olympic Games in 2000; I enjoyed the outstanding performances of athletes from many participating countries. 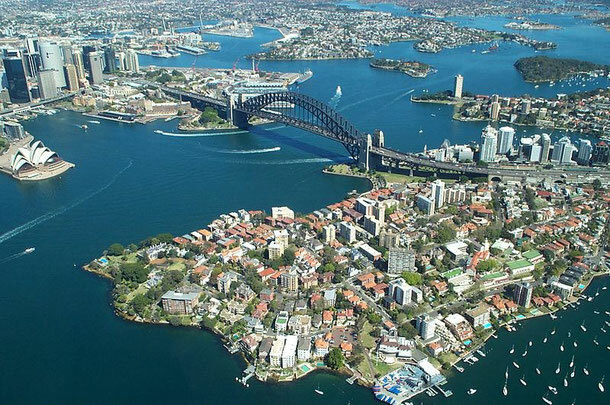 It is a quite well known fact that both Sydney and Melbourne often appear in the top bracket for world city rankings, be it the most livable city or the most expensive. 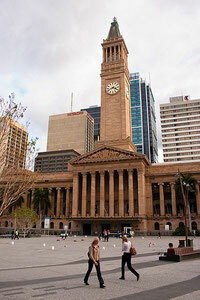 Let’s move on to Brisbane, which is the third largest city with a population of around 2 million. Climate there is tropical and gets humid in summer. 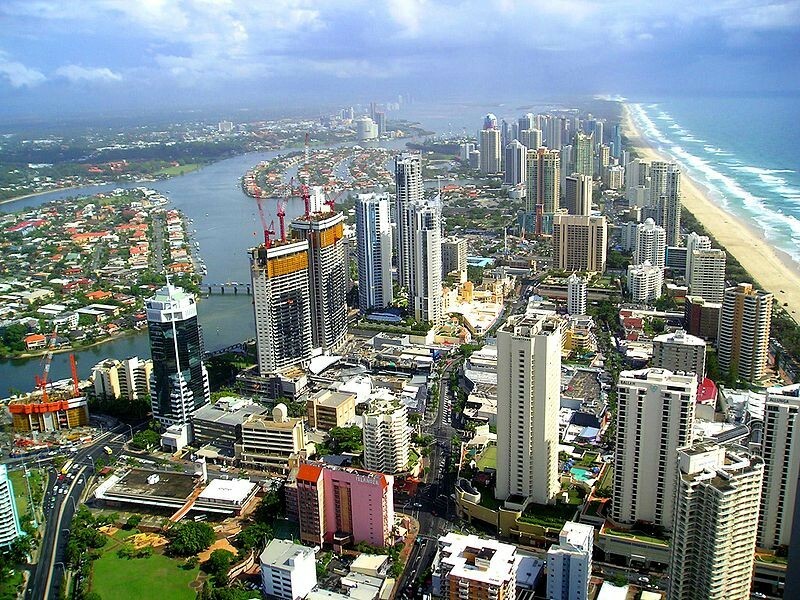 The Gold Coast, a world famous tourist destination, is only one hour away by car. 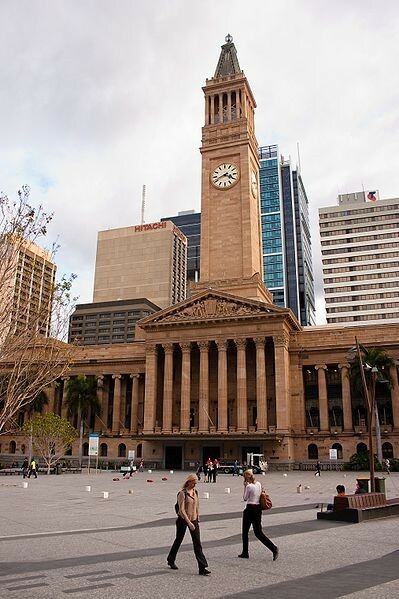 Town Hall (by Marty Portier) This is the Gold Coast. Then, to Perth, which is the only big city on the west coast with a population of 1.8 million; it happens that Steve hasn’t been there. So, it may be a good idea for Steve to take his family there for a visit one day. The climate is predominantly Mediterranean, rendering a hot and dry summer. 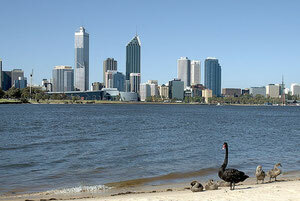 Similar to other big cities, Perth has beautiful beaches and a well planned business district and residential area. It is interesting to know that Perth is closer to Jakarta, the capital of Indonesia, than Sydney or Brisbane on the east coast. I would like to thank Steve for his quick rundown of these big cities, without any previous notice. After the talk, I became more and more convinced that although the big cities in Australia, including Adelaide, have their own identities and features, they all have well planned infrastructure, business districts, residential areas, and more importantly places to relax and enjoy, making them ideal, livable world cities. And one more thing, I realized how big Australia is! To conclude my essay, I would like to quote this; “Australia is a nation of compassion. Courage and compassion. And the third of these great values: resilience.” This is by Kevin Rudd, prime minister of Australia from 2007 to 2010. On this day, I talked about gaming, which happens to be Steve’s lifelong hobby. I have to admit that I’m not an eager gamer; except on occasions, I’ll go for playing games that are bundled into my personal computer, like Free cell, Hearts, Mine Sweeper, Chess etc. So, I started with this question? What kind of gaming are you currently enjoying the most? First of all, Steve went on to explain that gaming could be appropriately categorized into three areas: firstly gaming based on using an iPad, secondly for PC, and thirdly face to face gaming. So, here is Steve’s take on such gaming. For iPad related gaming, he likes “CCGs” or collectable card games. For PC, Steve enjoys miniatures games such as FOG or “Field of Glory” that simulates ancient warfare. When it comes to face to face, Steve’s preference is definitely board games over RPGs. How does Steve enjoy face to face board games that he’s so crazy about? He regularly participates in JIGG (Japan International Gaming Group) events that take place on weekends at different places with over 20 other gamers. Steve explained that his preference for board games is ones that focus on resource management and long-term planning. Then, I moved on to the next question. Could you list up to three games that you would say are amongst the best? Being an avid historical gamer, Steve chose “Advanced Squad Leader”, which is a simulation of squad level tactics during WWII as one of his first picks. Next came “Twilight Struggle”, which is played by two people simulating the Cold War between NATO and Warsaw Pact. The third was “Tzolkin”, which is a resource management game set during the rise of the Mayan Empire. Now for the third question: How would you envision the evolution of games, in terms of hardware including consoles and software? Technological advancement in personal computers, including faster processing speeds and higher display resolutions, has greatly enhanced the scope and range of games. For instance, you can enjoy playing most board games on your PC. Now, with the advent of the iPad together with easily downloadable apps this has opened new horizons for the growing number of mobile users. as fantasy games –something akin to Lord of Rings. Here is my take after the talk; it is said that history will never repeat itself, but through gaming you can recreate history and envision alternate outcomes. Simply put, historical gamers can comfortably enjoy simulating history. This is, as I understand it, the essence of the draw for historical games. The topic for the day was about Steve’s forthcoming child, a daughter. Steve went on to explain his own childhood: how he grew up with a single mother who was always busy working outside; how he became self- dependent that led him to joining the army early on. So, based on his own experience, Steve wants to be an “involved” father who can provide support but definitely not become a “crutch”. Then, we moved on to: “How would you like to raise your child?” Steve had already talked about this, but added that he would not lead the child down a path (“rail road her”) to realize her parents’ wishes. 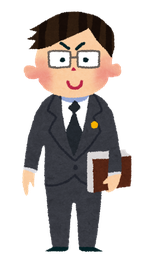 From this perspective, he gave an example of not wanting to use a “juku”, a Japanese cram school. He prioritizes the child to be outspoken and thoughtful. Thirdly, I asked, “How would you envision your child when she becomes of age?” Basically, Steve would let the child do what she wants to, as long as she respects the law of course. Another thing he desired was that the child would seek excellence in both academic and athletic fields, akin to “Arete” in Ancient Greek and live up to one’s potential. Then we talked about Steve’s intention of raising the child in a multi cultural environment. His idea seems to be very modest in that he would like to take the child to different countries, seeing different cultures if and when possible. More important is how the child’s parents behave in everyday life: show that you endeavor to be impartial to race, gender or religion, especially through interacting with friends and families of different cultural backgrounds. Lastly, I asked this: “Have you already decided on your child’s name?” Yes, was his answer. His daughter will be named “Sakura”, cherry. What a beautiful name! I wonder what Steve would say if he were having a son? Could we expect the same comments as mentioned or would they be slightly different, perhaps more Spartan? Today, I would like to ask your tips for learning English. Before we start, I would like to summarize what you had suggested for our learning English in our previous interview on May 4, 2011 as follows: First, having a good motivation for learning a foreign language is a must; second, we should focus more on increasing our vocabulary; and thirdly, it is always helpful to have a native speaker as our friend. understand, over that then it will become difficult to follow. amongst other things. What are your recommendations? expressions and different idioms for example. suggest effective ways and means of practicing? correction alternatives for any grammatical or usage errors. e-mails to your e-pals or short stories (for children). 1. What prompted you to come over to Japan in the first place? To this he mentioned that it wasn’t “as romantic as that.” It was basically a better job offer from a Japanese company, so he grabbed it straight away. After working as a lawyer for the Australian government, he took the opportunity to work for a Japanese company by helping its overseas operations including, off course, legal issues. 2. When you came to Japan, what Japanese words or phrases did you find most convenient, other than “Kon-nichiwa” or ” Arigatou”? He started with some expressions like “Onaka ga suita” (I’m hungry), “No-do ga kawaita” (I’m thirsty), “Onaka ga ippai” (I’m full). Then he mentioned the importance of “Jusho” (an address), which pops up whenever he has to fill in a form. Steve added that in more casual surroundings, like in an izakaya (a Japanese drinking establishment that serves food), it helped a lot to socialize with the locals to pick up new words and expressions. 3. Changing the topic, how would you envision yourself, say, in ten years from now? Steve has revealed that he is going to be a father this coming April. So, his life in general will be focused on his family rather than his own. As a father of three children myself, I would like to convey my best wishes for Steve and his wife. Hurray! 4. Here is a very blunt question, what is your dream? Perhaps too blunt? Well, after a second or two, Steve embarked on explaining his dream that he wants to merge his passion for gaming and work, like becoming a game designer. But realizing the difficulties of making both ends meet as a professional gaming guy, he seems to settle comfortably with the reality: Steve would rather prefer to focus on his family and enjoy playing games.